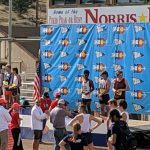 Please congratulate Yonas Mogos on his school record of 15:59 and a top five finish at one of the biggest invitationals in Colorado! 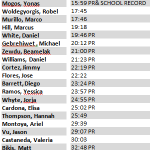 Many runners set PR’s. Overall the Olympians Team ran very well. 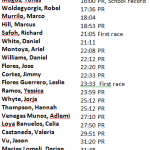 Coed Varsity Cross Country · Sep 10 XC Team Post PR’s and Records at Liberty Bell Invitational! The XC team had an outstanding showing Saturday at the Liberty Bell Invitational! 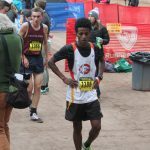 Almost every member of the team set a personal best time, some by around 2 minutes, Yonas Mogos broke his own school record for the 2nd time- with a time of 16:00 in the Division 1 race for a second place finish. 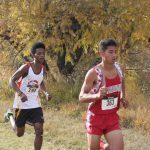 Coed Varsity Cross Country · Sep 8 Yonas Mogos sets school 5k record again!